Easter Promotions at Intouch Games! Easter is just around the corner, so Intouch games have been busy hatching eggciting plans for easter promotions across all five of their mobile casino brands. We think it’s safe to say that players will be eggstatic with the prizes on offer. Which add up to more than £30,000! All of the Easter promotions require a qualifying deposit to enter. So… read on and let’s take a closer look at the prizes available across each brand, and how players can enter these cracking Easter competitions. mFortune Casino is giving players the chance to win a share of £10,000 in bonuses with the Easter Eggstravaganza Prize Draw. Running from 8thto 22nd April, a £20 qualifying deposit is all it takes to enter. At PocketWin Casino, the Egg-citing Easter Giveaway offers the opportunity to win a share of £7,000 in bonuses. Each qualifying deposit of £20 between 15th and 22nd April will earn players one entry into the draw. Furthermore, Mr Spin Casino players will be all ears about the Big Bunny Bonuses Giveaway. From 8th to 22nd April, each £20 qualifying deposit will give them a chance to win a share of £3,000 and 10,000 free spins. 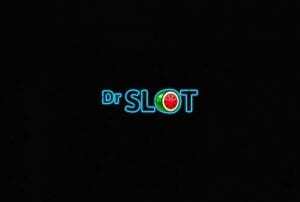 In addition, players can win a share of up to 5,000 spins at Dr Slot Casino this Easter, thanks to the Sp’egg’tacular Easter Spin Giveaway. It’s running from 8thto 22nd April and there’s a minimum £20 qualifying deposit required to enter. There’s a share of up to 3,000 spins to be won in Cashmo’s Eggstra-Special Spins promotion. Players need to make a qualifying deposit of £20 or more between 18th and 22nd April for a chance to win. Currently, we do not have a review made for this particular casino. However, be sure to see one featured at Casino4U in the near future. Of course, full terms and conditions apply to all of the offers above.